As one of Gloucestershire's leading independent garden centres, Highfield Garden World uses local suppliers wherever possible, writes Matthew Appleby. 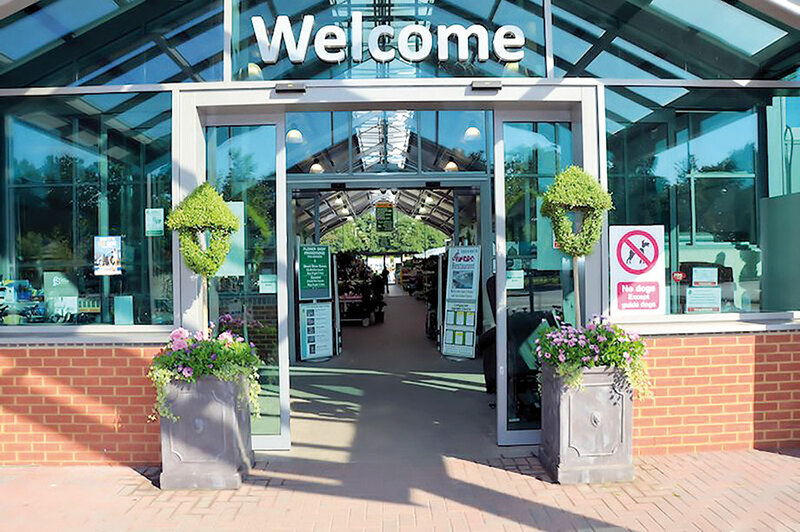 With a turnover of £4m+, Highfield Garden World in Whitminster is one of Gloucestershire's leading independent garden centres. The centre has been owned and run by three generations of the Greenway family for 27 years and employs 100+ local people. Spring 2014 has seen the completion of a £2.5m new retail and restaurant development of the Whitminster site. This extends the centre's retail space by around 1,500m2, increasing the total retail space to 5,300m2. The Greenways used local suppliers wherever possible throughout the development including the likes of Scott Security in Stonehouse, Moreton Cullimore in Whitminster, Ellis Crane Hire in Brookthorpe, and Eurolink Communications in Stonehouse. Hodges was the builder and Malcolm Scott Consultants the planner. Pivotal to the development was a new restaurant and new concessions. Highfield receives 10,000+ visitors a week and has 12,000 loyalty card holders and a projected turnover to the year end 30 June 2014 is £4.9m. Q. What impact has the redevelopment had on business? A. Tim Greenway: The restaurant has been up by 76 per cent. Because everything has been redeveloped and moved, we're still getting people wandering into aquatics and asking 'where's the food gone?' The telling thing with the restaurant is we're 12,000 customers up over the same period and average spend is up 28 per cent. Q. How have you changed the food offer? A. We've vastly increased the cake offering and now have two full-time bakers in their own dedicated bakery in the restaurant. We're actively thinking about a nightshift baker because our two bakers are struggling to keep up with demand. It could well be Great British Bake Off having an influence. What they're doing is what we're trying to do. We've increased the staff with the new restaurant but even then we've been taken aback with how busy we've been. Salim Sajid from Blueberry Consultancy has helped on the design and we've also taken on Gloucestershire-based Soho Coffee. The director lives three miles away and we have the back up and training to give us that extra and keep staff trained. Hot drink sales last month were £33,000 so you need to get it right. We do We Are Tea and have tried to upgrade the quality for everything and it seems to have worked. Q. How else has the centre changed? A. We're trying to re-lay it out so if the customer wants gardening, aquatics or pets they can turn right at the entrance and head that way but if they want giftware and the restaurant they turn left. They're not forced to go one way or the other. A. Chris Primett from Malcolm Scott Consultants when we were coming up with plans for the centre. He felt that having put the restaurant at the back of the site, which during the week caters for 35+ predominantly ladies, we can't ignore that market so we have to put products on that walkway that will appeal to them as they're heading to the restaurant. And Chris said don't put pets near the restaurant. Joan Greenway We have adapted Chris's plan but we couldn't fit in everything he wanted. The food hall is still where it was. A. JG The company started in 1920 as willow foresters in Haverfordwest. They stripped willow for basketware then went into mail order and sent plants all over the UK, mostly forestry trees. Everything had to go through Gloucestershire from Pembrokeshire because it was the hub of the railway so in 1935 they decided to move to Gloucestershire and set up a nursery. They bought Highfield House and 19 acres of land then started to diversify into different plants including fruit trees and roses. They sent them all over the UK in Dutch baskets. I came into the business in 1975 as part time secretary and within three or four years I'd been made director. Then the nursery manager Trevor Wellington was also a director, and him, me and Tim bought out the owner Bonham Bazeley, who was son of the founder Edward Bazeley when he retired. We'd bought a field in 1982 and got planning permission. 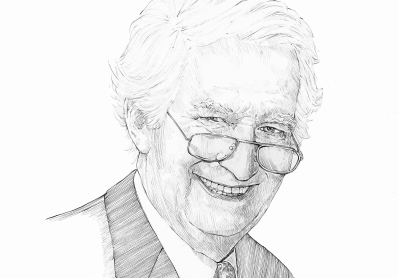 Malcolm Scott designed a three-bay centre and Geoff Hamilton opened it in 1992. In 1997 we won a gold medal at the 75th anniversary Chelsea Flower Show with as 1913 garden. When we opened in 1992, things were tough for three or four years but World of Water came on site in 1996 and we've expanded ever since. TG Over the years the site has changed so much. Twelve years ago we bought 19 acres of land to the south of us. Joan's brother farms it for us. If we hadn't bought it we didn't know what would have happened so it was best to have it. Q. How did the latest development come about? A. TG we were approached by Edinburgh Woollen Mill five or six years ago to come on site. The commercial director Steve Simpson offered Sunday lunch - in Cumbria where he lives. We did the deal, but on the way up we stopped at Tebay Service Station on the M6 which has a farm shop and uses local produce. We decided if we ever rebuild the restaurant, we'd do it like that. JG We'd always had a vision of building the restaurant by the lake. 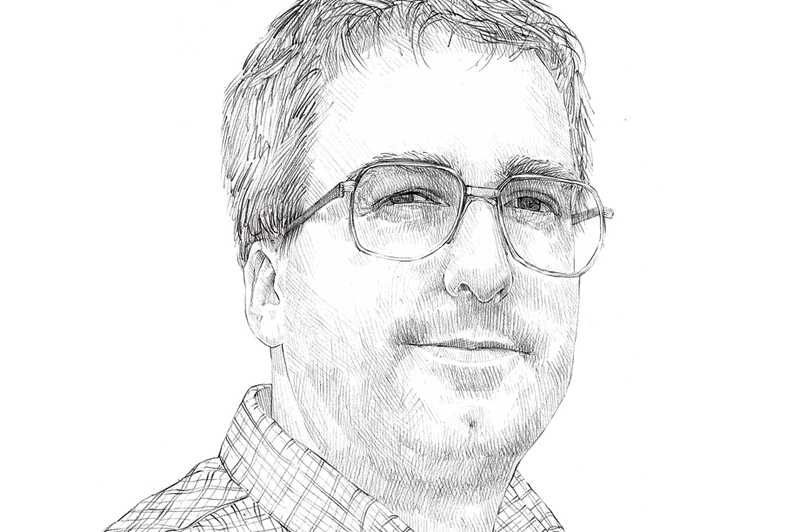 We talked to Chris Primett and he interpreted what we wanted to do perfectly. The restaurant site used to be a chicken house, pet and shed centre so was an untidy area. Q. What concessions do you have? A. We've had World of Water for 16 years, plus Edinburgh Woollen Mill, Peacocks, and Ponden Home which are part of Edinburgh Woollen Mill and Pavers Shoes. We were putting up a huge development costing £2.5m and Chris Primett said you put this money into the business - are you going to be able to turnover it all yourself to get the return? So we talked to concessions and Edinburgh Woollen Mill said they had other brands. Q. How has the restaurant developed? A. It sat 20 people when we started and we boiled a kettle and bought in cakes from a local lady. JG Then we built a little kitchen for lunch time meals but in the end we couldn't cope with the numbers coming in so we built a 180-seat restaurant 10 years ago, but we quickly realised the building was not the best for a restaurant because it had a curved roof which made it noisy so we decided to build our new restaurant. Q. How important is the restaurant to you? A. TG It's vital. In bad weather when you wouldn't go in your garden, would you come in to look at plants? We have regulars who come in every day. Q. What's your next big growth area? A. If we had room to develop the farm shop side we would do that and include a butcher. Q. How self sufficient are you with food? A. We sell potatoes from Joan's brother's farm and our nursery provides us with strawberries and soft fruit and hay for pet bedding. We still have the nursery site and do a lot of seasonal growing including most of our own young veg plants. We have two staff at the nursery who can't keep up with that. We bring in a lot of herbaceous plug lines and grow into one-litre and three-litre pots. Twenty years ago we only grew what we could sell and when we first opened we were growing 70 to 80 per cent of what we needed. But as sales took off we moved out of home grown rose production because you could buy bare-rooted far cheaper than you could produce yourself. When we opened, autumn was prime time for us with bareroot hedges, fruit trees and roses we dispatched from October to March. But 10-15 years ago, that autumn business dropped off and gardeners planted in spring when the weather is better. We noticed a change in the seasonality of gardening, and it was difficult to persuade customers to plant in autumn, even with the best-looking stock available. Everyone got used to instant availability. JG The reason we went out to mail order was we couldn't compete with suppliers of plugs. We were selling fully-grown plants and we'd finish at the end of April, but if you buy off the internet you expect it in 4 to 5 days. We used to test buy and found that some field grown fruit trees sold in April were sorry specimens. Q. Are you in a buying group? A. We're part of the Great Western Partnership with Monkton Elm, Bernaville, Trelawney, Plymouth and three Garden Group centres. Q. What's your point of difference with plants? A. We just like to do things a bit differently but don't ask me what we do differently. One of our strengths is that we are independent. If Jon sees something he likes on a Dutch lorry on Tuesday, he buys it then and there so we can quickly dip in and out of things. That works with all departments. The staff have that freedom, but in large organisations there's not that freedom. Some centres are too regimented but I think we have the plant knowledge and heritage that's grown with the business. Q. How did you get started Tim? A. I started at the old nursery when I was 14, working part time, then I went to Hillier for a year in 1978. You were on a slave ship with 40 students. They used to flog us to death but I survived the year. Then I went to Pershore College for an OND and Jack Matthews fruit trees and Robert Wharton, then three months in a Boskoop nursery. Then Mum was ill so I cut short Pershore and have been here ever since. Q. Would you buy a second centre? A. No. It's hard to make the progression to the second and third. The third or fourth are easier. Buying into small centres it's not too difficult to tweak and get the turnover up but a £2m-£3m centre, when there's not the money or room to develop, is hard to grow. The new restaurant is bringing a lot of people in. It's in a great location on the site with views of the Cotswold escarpment and, on a clear day, the two River Severn crossings. The restaurant was not micro-designed and will develop as time goes by. The owner has already bought a big table for it on Ebay so it's starting to develop its own character rather than have a character developed for it. In the new concession space, Edinburgh Woollen Mill paid a premium to be outside where the restaurant used to be so it needed to move to where the restaurant is now so everyone walks through their space on the way there. We tried to create four different buildings of different designs to replicate the evolution of the farm holding over the centuries, so it was not an 'aircraft hangar'. 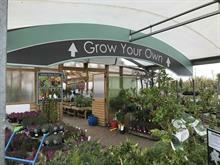 Garden centres can end up with a mono design of a curved or pitched roof. As at Perrywood in Essex, it's not just one big shop, but several different shops. That's not just for show but has a purpose so the customer enjoys moving through the space."